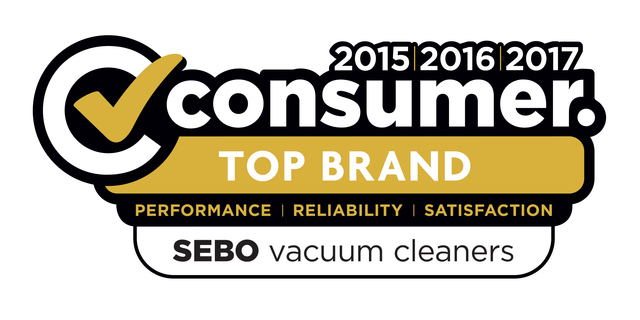 HOW MUCH BETTER ARE SEBO VACUUMS COMPARED TO TYPICAL VACUUMS? SEBO vacuums have a worldwide reputation for superior quality. Typical vacuums perform poorly (even when new) and usually do not last beyond 2 years. So six or seven ordinary vacuums must be purchased during the average life expectancy of just one SEBO vacuum cleaner. HOW DO I KNOW SEBO VACUUMS ARE AS GOOD AS I'VE HEARD? Please read our customer testimonials page. These are from actual customers who are generally satfisfied with their SEBO vacumm cleaners. WHAT IS THE DIFFERENCE BETWEEN A BAGLESS VACUUM CLEANER & A VACUUM CLEANER THAT USES BAGS? Three & four layer bags are an integral part of SEBO's filtration system because they hold virtually all the dirt captured by the vacuum, which improves the effectivness and useful life of the microfilters, making SEBO an excellent choice for users with allergies or asthma. Also the bags can be tightly sealed when full, so no dust can escape into the air during disposal. In contrast, without bags to hold nearly all the captured dirt, the microfilters on bagless vacuums quickly clog from excessive dirt build up and must be replaced often or a loss of suction & cleaning effectiveness will occur. Also dust & other allergens become airborne when emptying the bagless dirt containers. WHERE DO I FIND SEBO REPLACEMENT BAGS, FILTERS & PARTS? These can be purchased direct from our on-line shop or by calling SEBO NZ on 09 274 5057. Replacement parts, filters & bags are readily available. MUST I USE ONLY SEBO BRANDED BAGS, FILTERS & PARTS? Yes it is important that you use only SEBO branded bags, filters and parts because counterfeits do not fit or perform properly in the machine. Therefore mechanical problems may arise. Also using counterfeit parts may invalidate your warranty. HOW OFTEN SHOULD I CHANGE MY BAG & FILTERS? SEBO vacuums have warning lights to alert you when your new vacuum bag is full. When this occurs you should promptly insert a new bag. SEBO vacuum filters should be changed after every 10 to 20 bags, depending upon use time & the type of debris material collected by the vacuum. However please trust your visual inspection, if you see that a filter is excessively dirty or the bags appears to be quite full, do not hesitate to change it. WHY USE A SEBO PAPER BAG IN PREFERENCE TO A CLOTH BAG? The SEBO paper bag is designed to do two functions, collect the debris and first stage filter the air flow. The SEBO filter paper bag consists of three layers, effectivley giving the user a five stage filter system - 3 layer bag, hospital grade micro filter & the exhaust filter. The hospital grade micro filter is manurfactured from material that fulfills the HEPA EU10 requirements. SEBO supplies as standard 8 or 10 green caps (depending on the model) with every packet of original SEBO paper bags. These green caps protect the operators health when they dispose of the contents that they have vacuumed up. Open the front cover, seal the paper bag with the green cap and then remove the paper bag for disposal into the rubbish bin. Replace with a new paper bag. Ever experienced "dust blow back" when emptying a cloth bag? The use of a cloth bag could lead to dangerous exposure of allergens, bacteria and fungi resulting in upper respiratory dieseases including bronchitis, asthma, eczema and dermatitis just to name a few. CAN I BE SURE SEBO STANDS BEHIND ITS PRODUCTS? Absolutely! After manufacturing vacuums for the commerical cleaning industry for more than 30 years, SEBO knows from experience that its vacuums are built to last. SEBO has an excellent ten-year reputation in New Zealand for standing behind all the products it has sold into the household market.